… Dr. Ignaz Semmelweis: The Man Whose Brilliance Cost His Job. Semmelweis was born on this date in 1818. Once again, I am off to meet obligations. Will blog again when I can. … Informal Inquiries: The Epic of Gilgamesh, the Holy Bible, and the Truth. I was trained as an analytic philosopher, and was an atheist for many of my undergraduate years and all through graduate school. But I was drawn to take Aristotelian ideas seriously, in large part thanks to Alasdair MacIntyre’s After Virtue. Furthermore, while teaching introductory courses as a grad student, I got bored doing the standard shtick when covering Aquinas’s Five Ways—lining them up and shooting them down with the stock objections. So I decided to make things more interesting by trying to help myself and the students understand why anyone would ever have taken these arguments seriously. As a result, I got into the Thomistic literature while preparing lectures, and the deeper I got into it the clearer it became that the usual objections philosophers raise against Aquinas’s arguments are just laughably bad, completely missing the point and aimed at straw men. I started to see that, when read against the broader Aristotelian metaphysical background in the context of which they were first developed, the arguments made perfect sense and were hard to dismiss. I'm afraid this isn't just true of England. The Corbyns I have known have been equally distributed between right and left. In fact, it hardly matters what they say they are since, as we all know, at the extreme ends of the spectrum, right and left merge into one lurid nightmare of deluded certainty. Amen, brother. Too bad more people don't recognize this. … Paul Davis On Crime: Don Winslow: By the Book. … First Known When Lost: Peace And Quiet. There is an outer and an inner dimension to the peace and quiet that we seek. The goal, as Gissing suggests, is "life that is led in thoughtful stillness," a life in which we strive to "possess [our] souls in quiet." However, living in this manner does not entail an abandonment of the World. "But there is the rustle of branches in the morning breeze; there is the music of a sunny shower against the window; there is the matin sound of birds. Several times lately I have lain wakeful when there sounded the first note of the earliest lark; it makes me almost glad of my restless nights." George Gissing, The Private Papers of Henry Ryecroft, page 72. These are "the lucidities of life/That are my daily beauty" that John Drinkwater speaks of in "The Wood." I have to take my wife to the ER, so I am not sure when blogging will resume. Whoever thought of the rule as applying to plurals of words ending in "cy"? And let's face it, the best way of learning English orthography is memorization. … Informal Inquiries: "For Once, Then, Something" by Robert Frost. Msgr. Ronald Knox, in a sermon to some school girls, noted that the first part of the sign of the cross — from forehead to breast — represents the self. The second part — from shoulder to shoulder — represents crossing out the self. If anything can get in the way of truth, it is the self. I have lately been listening over and over to Elgar's violin concerto. There is a heartbreak to it that peculiarly affects me. … Informal Inquiries: Rousseau has a birthday (and I complain about him). … Charlie Gard's parents lose their final appeal | Daily Mail Online. … Award-winning essayist, editor Brian Doyle, 1956-2017: “Something is opening in me, some new eye.” | The Book Haven. The things I’m interested in writing about are very often things that don’t fall within my tastes and my temperament. I like reaching out over the edges of myself because that’s more interesting. … About Last Night | Home to roost. Nice to be reminded of Milton Avery's fine work. … "Cli-Fi" : The Incomplete News Database of A Flawed, Dishonest and Biased Literary Website. … Informal Inquiries: Liquid Jade: a book review. … Lewis follows Plato in pointing to democracy itself as the cause for the slide to tyranny. This used to be considered one of Plato's less attractive views, but it is apparently now useful for those resentful of election results. Free Air is not kind to the petty and conniving rural dwellers, but Lewis’ most devastating take on small-town life appears in Main Street. Lewis, a product of Sauk Centre, Minnesota, rails against the idea that these remote burgs are the source of all that is good. Rather, they infect their residents with “the village virus”, symptomized by a firm ignorance, self-satisfaction, and general intolerance of anyone who doesn’t look or think like they do. Hey, those people really are deplorable. O tempora, O mores. … Weltschmertz Poem by Paul Laurence Dunbar - Poem Hunter. Paul Lawrence Dunbar was born on this date in 1872. … Making Room for Both the Reflective and the Narrative Essay | BREVITY's Nonfiction . … Informal Inquiries: "Plenitude" and autobiographical criticism. I love the poem. Some years ago, my 20-year-old cat Pandora had a stroke. She couldn't walk. So I made her as comfortable as I could. The next day, when I returned from work, and went to check on her, she lifted her head, looked at me, and died a natural death. She is buried in our garden, where perhaps I shall one day join her. Obviously, beauty — like poetry — can't be defined, and obviously, whatever it is, its manifestations are numberless across human histories and cultures, but it seems to me that theorists who oppose the principle of beauty in art must erroneously have found the cosmos to be exhaustible, and must believe themselves to have, and must wish to persuade others that they have, exhausted it. I can’t argue about this, but I would ask if any of these judgments about beauty -- as privileged or elitist or superficial or morally deficient -- pertain to the beauty of the "Afghan Girl" photograph. … Paul Davis On Crime: Crime Columnist Revered And Feared in the Book Review. That Spotify playlist is especially interesting. … Video shows a teen falling off a Six Flags ride — and a crowd gathering to catch her - The Washington Post. … Jimmy Webb’s Rise and Fall - WSJ. … Informal Inquiries: "I felt a Funeral, in my Brain". Alan Watts once described the Zen koan as "a pebble dropped into the well of the mind." That is how Emily Dickinson's poems have always struck me They are not to be explicated, just pondered. It is incredibly inspiring that the first author that we know of in all of human history was a woman living within a kick-your-teeth-down-your-throat, highly repressive patriarchal society. I imagine it took a lot of courage for her to step out of the convention of anonymous writing and boldly attach her name to her works. People probably regarded her as conceited and arrogant, a prima donna and an iconoclast. But she was also the king’s daughter, which gave her an immense amount of privilege. She used this privilege to carry her father’s water as he brutally expanded his colonial empire. The "first author that we know of" is not the same as the first author ever. And as Mel Brooks has pointed out, "It's good to be the king." Not bad to be the king's daughter, either, and a high priestess as well. What you imagine and what you think probable is purely speculative. The main question is whether her work is still worth reading. … Informal Inquiries: George Orwell, deceit, truth, and political writing as art. … Informal Inquiries: George Washington's Secret Six: The Spy Ring That Saved the American Revolution by Brian Kilmeade & Don Yaeger. … Nathaniel Frank's 'Awakening': How the marriage-equality battle was won - for now. … Eisner's 'MacArthur's Spies': The Mata Hari of Manila. … Allegra Goodman's 'Chalk Artist": Getting lost in the virtual world. … Tannen's 'Only One I Can Tell': Women building better friendships with right words. If the novel is our culture’s favorite literary form, upon which we heap all our desiccated literary laurels, if the novel is, say, our Jaime Lannister, then the short story is our very own Tyrion: the disdained little brother, the perennial underdog. But what an underdog. … And in the right hands there’s more oomph in a gram of short story than in almost any literary form. … The Perfect Writing Conference Scholarship Essay | BREVITY's Nonfiction Blog. … Let’s Be Bored! | BREVITY's Nonfiction Blog. I don't tend to get bored, but I do know what it's like to be too busy. … Zealotry of Guerin: A Street in Venice (John Singer Sargent), Sonnet #356. … Informal Inquiries: Ciardi, Dante, and Destinations. Pelagius represents the moral theology, per Greenblatt, of original innocence: We’re all rational and morally competent creatures, and each of us can forge his or her own moral perfection through personal effort. This, it seems to me, flies in the face of experience, not only of the world, but of oneself. Original Sin is a theory I have yet see adequately falsified. Augustine insisted that none of us are capable of achieving our own salvation; we need God’s grace to do that. God’s grace not only heals the wounds of sin—soothes us in our guilt and shame, and comforts us in our pain—but strengthens us against future temptations. We usually fail again, and are offered the same round of treatment and inoculation again. Thus the world around you is not filled with people who, if they cared to, could perfect themselves —a vision of profound pessimism— but with people who are doing, well, the best they can, and maybe it isn’t much, but it isn’t all there is, either. God loves us enough to help us along. However softly we speak, God is so close to us that he can hear us; nor do we need wings to go in search of him, but merely to seek solitude and contemplate him within ourselves, without being surprised to find such a good Guest there. … Paul Davis On Crime: My Washington Times Review Of Stephen Hunter's 'G-Man'. I hadn't heard this Ormandy recording. It is very good. But I am an Ormandy fan. Much has changed, but not everything. Order is still better than chaos … The destruction of a regime—the modern equivalent of regicide—is still likely to bring chaos or civil war … The biggest change, perhaps, is that ambition, once a sin against order, is now a prerequisite for office. Shakespeare would be astonished to find we have invented a system of choosing leaders that is so arduous and unpleasant that only those with overwhelming personal ambition will think of submitting themselves to it. … Paul Davis On Crime: On This Day In History Michael Shaara, Author Of 'The Killer Angels,' Was Born. See also: Shaara, birthday, and questions. The Pen & Pencil Club is pleased to announce June’s Poetry@P&P which features Leonard Gontarek and Charles Carr followed by an open mic hosted by Bob Zell. The reading will take place on Sunday, June 25th from 8-10 PM at the Pen and Pencil Club located at 1522 Latimer St. in Center City Philadelphia. Leonard Gontarek is the author of six books of poems, including, Take Your Hand Out of My Pocket, Shiva (2016), nominated for the Paterson Poetry Prize and the William Carlos William Poetry Award. His poems have appeared in American Poetry Review, Poet Lore, Verse Daily, and The Best American Poetry, among others. He coordinates Peace/Works, Philly Poetry Day, The Philadelphia Poetry Festival, and hosts The Green Line Reading & Interview Series. He has received Poetry fellowships from the Pennsylvania Council on the Arts, the Philadelphia Writers Conference Community Service Award, and was a Literary Death Match Champion. His poem, 37 Photos From The Bridge, was a Poetry winner for the Big Bridges Motion Poems project in 2015, and was the basis for the award-winning film by Lori Ersolmaz. Charles Carr from Philadelphia was educated at LaSalle and Bryn Mawr College, where he earned a Masters in American History. Charles has worked in social and community development services for 44 years. Charles has also been active in raising funds for various missions and organizations serving the poorest of the poor In Haiti. In 2007 Charles was The Mad Poets Review First Prize Winner for his poem “Waiting To Come North”. In 2009 Cradle Press of St. Louis published Charles's first book of poetry: paradise, pennsylvania . In January 2014 Haitian Mud Pies And Other Poems was published by The Moonstone Arts Center. Charles’ work has been published locally by the Painted Bride Review, Apiary, Fox has Review, The Schuylkill Valley Journal, Mad Poets, Philadelphia Stories, Moonstone Poetry Anthology, Poetry Ink as well as The BlueCollar Review and Generations of Poetry. Charles hosts the Moonstone Poetry series at Fergie’s once per month He has been a guest host for the Philadelphia Poetry Festival and a guest co-host for the Green Line Poetry Series in Philadelphia. In 2014 Charles read poems in The Garden of Remembrance in Dublin Ireland in honor of Poets for Peace. Charles hosts Philly Loves Poetry a monthly broadcast by Philly Cam. … Informal Inquiries: Review: Jefferson and Hamilton. … John F. Kennedy became a hero to American art lovers — but he wasn’t one himself. Few of us now think of ‘belittle’ or ‘reliable’ as Americanisms. But when Jefferson used the former in 1785, the European Magazine was derisive: ‘Belittle! What an expression! For shame, Mr Jefferson!’ And in 1864 the Dean of Canterbury snorted that ‘Reliable is hardly legitimate … Trustworthy does all the work required’. But that was always a losing battle — more so than ever with 20th-century popular culture, above all the movies once they became talkies. … Informal Inquiries: Hamlet: a foul and pestilent congregation of vapours. Hard to imagine how that one escaped him. I brought my wife home from the hospital yesterday, but she is not well and needs my attention more than this blog does. Will post when the opportunity presents itself. Which Shakespearean characters does Trump most closely resemble? Without impeachment (or worse) in place, Julius Caesar doesn’t seem to fit, and furthermore the Roman emperor had a pomp and gravitas that Trump as president lacks. Julius Caesar was never emperor of Rome. The first Roman emperor was Augustus. I would advise against facile political comparisons. Except for the Canzoniere, Petrarch avoided risk and wallowed in prolific mediocrity. He went to his grave believing that his turgid Latin epic Africa would form the foundation of his legacy, but neither that poem nor his other Latin poetry approached the genius of his Italian love poems. In a time of excitement about classical learning, Petrarch seemed more trapped than liberated by the rediscovery of classical literature; he struggled to learn ancient Greek, and never did. His voluminous writings are long on pompous insistence and short on insight. What draws me into a poem is its sound. That has always been the case, from "Hey, Diddle, Diddle" on. … Informal Inquiries: Snowden's birthday is not worth celebrating. Dave notes that there is a trailer attached. … Tony Bennett Selected as Next Recipient of Library of Congress Gershwin Prize for Popular Song | LJ INFOdocket. … Informal Inquiries: Lillian Hellman's birthday celebration. If the the theory of relativity had been necessary for salvation, it would have been revealed to Saint Paul or to Moses. … Episode 223 – Joe Ciardiello | Virtual Memories. After Infinite Jest, I had my eyes set on a shorter novel. A friend recommended the work of Cees Nooteboom, whose fiction has enjoyed something of a resurgence in the English-speaking world. On that friend's suggestion, I took up Rituals, an odd little book written in Dutch, and awarded the Pegasus Prize in 1982. The novella is divided in three: that much I know. But beyond that, I must confess, I found myself perplexed. There's certainly a preoccupation here with the human capacity for belief. Nooteboom seems mystified that we'd have progressed this far, only to replace that old medieval cloak with other forms of irrationality (be they political, religious, or spiritual). Nooteboom reaffirms this point throughout: his characters are isolated, trapped by the beliefs they've willingly adopted. They claim transcendence, but Nooteboom questions this. What they're feeling, he seems to argue, is loneliness. In contrast to this aestheticism, this highly regimented sense of 'ritual,' Nooteboom introduces Inni Winthrop, a character defined less by his happiness than by his freedom. Winthrop has the capacity to float, and Nooteboom's prose mirror this: he hops from one encounter to the next, unencumbered by belief, free of anguish. I suppose if Nooteboom relates to any of the characters in the book, it's Winthrop -- but only because he seems horrified (genuinely horrified) by the human capacity for self-flagellation, for restricting our movement or emotional outlook because of its potential to contradict a system of thought. It's in that sense that Nooteboom seems to argue for a sort of moderation, and for systems of belief that celebrate the human capacity for social interaction. The body, especially, is not a source of sin: it is, in this novella at least, the basis for good. … Informal Inquiries: Julius Caesar -- past, present, and future. … Arundhati Roy's long-awaited new novel: Overstuffed, disappointing. … Thomas Ricks' Churchill and Orwell": Very different fighters for freedom. … 'Essex Serpent': Mythical monster, remarkable heroine. … 'Grief Cottage': A haunting tale from Gail Godwin. … Informal Inquiries: Skepticism and eternal life: Pascal's famous wager. … the Founders were determined that the absolute power held by the Star Chamber never be allowed again. The executive branch of government must be constrained, in their view, and they wrote the Constitution with the dangers of executive power clearly in mind. … Informal Inquiries: Thanksgiving on Father's Day. … I have been dealing with real life. Back soon. Public toilets have a duty to be accessible, poetry does not. … Paul Davis On Crime: Back Story: Celebrating The 50th Anniversary Of The James Bond Film 'You Only Live Twice'. … Winning Poems for 2017 April : IBPC. This credible claim puts the burden on Kees’s admirers to distinguish between his masterful, innovative technique, rivaled only by Auden in the twentieth century, and his relentlessly destructive messaging. Great learning and masterful technique do not alone great literature make. A noble theme is needed as well. … Phoenix by Jane Rosenberg LaForge. … Fauna by Stephen Page. … La Coiffure 1896 Degas (Brushing Her Hair) by Maria Keane. … Finding Center by Abbe Mogell. Submissions of book reviews, essays, commentary and poems are open at North of Oxford https://northofoxford.wordpress.com/about/. … Informal Inquiries: "Waiting" -- a poem and a personal postscript. Best to start each day with that line of the Psalmist: "This is the day which the LORD hath made; we will rejoice and be glad in it." A bad era for science has been a worse one for the mass media, the field in which, despite the usual blunders and misjudgements, I was once proud to earn my living. But I have spent too much time, in these last few years, being ashamed of my profession: hence the note of anger which, I can now see, has crept into this essay even though I was determined to keep it out. As my retirement changed to illness and then to dotage, I would have preferred to sit back and write poems than to be known for taking a position in what is, despite the colossal scale of its foolish waste, a very petty quarrel. But when some of the climate priesthood, and even the Attorney General of the United States, started talking about how dissent might be suppressed with the force of law - well, that was a tipping point. I am a dissenter, and not because I deny science, but because I affirm it. So it was time to stand up and fight, if only because so many of the advocates, though they must know by now that they are professing a belief they no longer hold, will continue to profess it anyway. This piece covers all the bases. Will it persuade the true believers. Probably not. But science is about evidence and demonstration, not belief. … Informal Inquiries: No more partisan politics: seeking Utopia. … NEA Announces Grants to Support the Arts in Every U.S. State and Jurisdiction | NEA. … facts are stubborn things. And the fact is that two Catholic priests, Gregor Mendel, O.S.A., and Georges Lemaitre, were pivotal figures in creating two of the most important scientific enterprises of the twenty-first century: modern genetics, which is giving humanity previously unimaginable powers over the human future; and modern cosmology, which is giving us glimpses of the universe in the first moments of its existence. … Informal Inquiries: Washington DC, the U.S. capital city, needs protection. … Poetry is a form of inquiry and corroboration for what we call true beyond what can be scientifically proven. But much like math and science, good inquiry ought to lead us to gaze outwards, not inwards. While we do not use poetry to question the chemical composition of a flower and the seasonal changes that affect its growth and withering, we do use it to contemplate beauty and death. To say that there are universal truths to humans is to say that forms of art and self-expression are ultimately attempts at discovering and understanding what we cannot unveil through epistemological means. By believing that there is a right and a real that we can discern, forms of art such as poetry become a universal language to relate commonalities in our experiences. But when right and real are rendered subjective, so is poetry. Poetry, then, loses its legitimacy as a form of philosophical inquiry about the soul to which all of us can relate, and instead becomes an amateur form of life sharing to which only some of us can relate. … Informal Inquiries: The cat goes out to make love. Erroll Garner was born on this date in 1921. He wrote "Misty" in 1954. Harry Nilsson was born on this date in 1941. This album came out 45 years ago. Now it's humans who do the parroting. … Camille Paglia: On Trump, Democrats, Transgenderism, and Islamist Terror | The Weekly Standard. Drunk with words, spin, and snark, middle-class journalists can't be bothered to notice the complex physical constructions that make modern civilization possible. The laborers who build and maintain these marvels are recognized only if they can be shoehorned into victim status. But if they dare to think for themselves and vote differently from their liberal overlords, they are branded as rubes and pariahs. … Princeton's Tracy K. Smith named U.S. Poet Laureate. More here: Tracy K. Smith Is the New Poet Laureate. What more do we need to know about these people? … Left-Wing Twitter Celebrates Shooting of Rep. Scalise [UPDATED] :: Grabien News. … GOP rep. received threatening email with subject line 'One down, 216 to go...' after lawmaker shooting. See also: Check out these wonderful illustrations by Lauren Child. … Paul Davis On Crime: Flag Day: On This Day In History Congress Adopted The Stars And Stripes As The Flag Of The United States. ROME - An exclusive group of tailors and cobblers who cater to the Vatican are slowly adapting to Pope Francis’s penchant for simple and plain clothing. … Informal Inquiries: Pequot War in 1636-37. … Informal Inquiries: What is the worth of human life without history? … Hardy was a somewhat reluctant painter of modern life, both drawn to city life and repelled by it. He couldn’t really imagine or bear the idea of congested London without the idea of his childhood landscape as release. Out of that pulsation, Ford argues, was born ‘the concept of Wessex’: the rural scene, eternal but eternally threatened by overweening urbanism, the pastoral redoubt far from the madding crowd, where Hardy could ‘know some liberty’, as he puts it in his poem ‘Wessex Heights’. Ford reminds us that in the maps of Wessex that Hardy drew and which were first included in the 1895-96 edition of his fiction, there are no railways, despite the many appearances of trains in his work: in Tess of the D’Urbervilles, ‘modern life’ is described as stretching out its ‘steam feeler to this point three or four times a day’ and quickly withdrawing, as if what it found there was ‘uncongenial’. Wessex was where Hardy could stage his feeling for cosmic conservatism; a late formulation appears in ‘In Time of “The Breaking of Nations”’, written in 1915, which pits the Continental catastrophe of the Great War against the longer histories of the English countryside, peopled by ‘a maid and her wight’: ‘War’s annals will cloud into night/Ere their story die.’ If Hardy was half a modern Londoner, the other half had a weakness for the pastoral-oracular. The two halves changed shape, feeding and modifying each other. I’m not one of those people who consider Greek culture more brilliant. There isn’t a poet more satisfying than Horace or more fun than Juvenal, both of them Romans dealing with the practical and the ordinary in virtuoso language and with compelling insight. To prefer Plato just because he’s so concerned with the abstract and the speculative is like preferring Thomas Aquinas to Jane Austen—it’s inconceivable to me. And those traditional characterizations of the Romans as cold-hearted bureaucrats and imperialist brutes—well, the actual historical record doesn’t show the Greeks as more virtuously inclined; they just weren’t as stable or organized. The Athenians, for example, were perfectly happy to work thousands of slaves to death in silver mines and build their great monuments with other nations’ tribute; but their material ascendancy—because of their own folly—was so brief that they didn’t wear, so to speak, what they did. It just breezes by in the background to their art and literature, which did last. … Episode 222 – Arnie Levin | Virtual Memories. The philosopher does not seek to understand the world — that is the business of the scientist — but he asks himself how is it that there is a world to understand? How is it that this world is intelligible to human beings and that there is an intelligent being to know it in its intelligibility? … A Response to Jia Tolentino’s “The Personal-Essay Boom is Over” | BREVITY's Nonfiction Blog. … Mike Schmidt should have told me to go to hell | PhillyVoice. Paul Muldoon is one of Ireland's leading contemporary poets. He was born, June 20, 1951, in Portadown, County Armagh and raised near The Moy, in Northern Ireland. Muldoon’s work is full of paradox: playful but serious, elusive but direct, innovative but traditional. He uses traditional verse forms such as the sonnet, ballad, and dramatic monologue, but alters their length and basic structure, and uses rhyme and meter in new ways. His work is also notable for its layered use of conceit, allusion, and wit. The cryptic wordplay present in many poems has often been called Joycean, but Muldoon himself has cited lyric poets such as Frost, Thomas, and MacNeice as his major influences. Muldoon is the youngest member of a group of Northern Irish poets—including Seamus Heaney, Michael Longley, and Derek Mahon—which gained prominence in the 1960s and 1970s. As a student at Queen's University, Muldoon studied under Heaney, and refined his own analytical and critical skills in weekly discussions with other poets. In 1971, at the age of nineteen, Muldoon completed his first short collection, Knowing My Place. Two years later, he published New Weather (1973), his first widely reviewed volume of poetry. The book secured Muldoon's place among Ireland's finest writers and helped establish his reputation as an innovative new voice in English-language poetry. The poems in New Weather generally illuminate the complexities of seemingly ordinary things or events. Calling the collection "the result of continuous age and aging," Roger Conover suggested in a review for Eire-Ireland, "Muldoon's is a poetry which sees into things, and speaks of the world in terms of its own internal designs and patterns." Muldoon followed New Weather with the 1977 collection Mules. Recurring themes of political and social relevance inform the pastorals and ballads in Mules, as do family anecdotes, Muldoon’s rural upbringing and a wide range of literary and cultural allusion. In Preoccupations: Selected Prose, Heaney deemed Mules "a strange, rich second collection" and judged the poet "one of the very best." By the time Muldoon's next volume of poetry, Why Brownlee Left (1980), was published, the poet had attracted considerable attention for his technical acumen, dry verbal wit, and provocative use of language. Some critics considered Why Brownlee Left a more mature effort than Muldoon's earlier collections. The book’s influential final poem, the long “Immram” brings together the two impulses that inform Muldoon’s work, argued Ian Hamilton in The Oxford Companion to Twentieth-Century Poetry in English, “a Northern Irish Catholic sensibility and the English poetic tradition.” Muldoon's 1983 collection, Quoof, takes its title from his family's name for a hot-water bottle. "Gathering Mushrooms" opens the book with the narrator's drug-induced reminiscences of his childhood, his father, and the turmoil in Ireland. "The More a Man Has the More a Man Wants," the final poem and the volume's longest, is a narrative that follows the exploits of the mercenary-like figure Gallogly as he voyages through Northern Ireland. Writing in the London Review of Books, John Kerrigan asserted that the poetry in Quoof is "a bewildering display of narrative invention . . . written with that combination of visual clarity and verbal panache which has become the hallmark of Paul Muldoon." Meeting the British, Muldoon's 1987 collection, contains the long poem "7, Middagh Street," which, according to Terry Eagleton in the Observer, blends fantasy and history with "dramatic energy and calculated irony . . . to produce a major poem." A series of imaginary monologues by such prominent artistic and literary figures as W. H. Auden, Salvador Dali, Gypsy Rose Lee, Carson McCullers, and Louis MacNeice, "7, Middagh Street" contains provocative commentary on the importance of politics in Irish art. Deeming Meeting the British Muldoon's "most ambitious collection," Mick Imlah, writing in the Times Literary Supplement, noted that the volume proves an innovative addition "to a difficult and delightful body of poetry." Muldoon's next collection was the ambitious and notoriously difficult Madoc: A Mystery (1990)." Named after the title of a Robert Southey poem concerning a Welsh prince who discovers America in the twelfth century, the narrative flow of Madoc revolves around "what might have happened if the Romantic poets Robert Southey and Samuel Taylor Coleridge had indeed come (as they planned in 1794) to America and created a 'pantisocracy' ('equal rule for all') on the banks of the Susquehanna River in Pennsylvania," commented Lucy McDiarmid in her New York Times review. Critical opinion divided on whether Madoc was a success or not. Muldoon’s next book, The Annals of Chile (1994), “is easier of access and more emotionally direct than Madoc, while more allusive and arcane than [his] earlier work," argued Richard Tillinghast in the New York Times Book Review. Mark Ford, in the London Review of Books, found the themes of "less scope for the kinds of all-synthesizing wit characteristic of Muldoon." The Los Angeles Times Book Review's Katherine McNamara, however, argued that in Annals, "every word, every reference, every allusion, carries meaning. Muldoon never flinches in his brilliant verbal workings." Muldoon's 1998 Hay is a diverse collection, covering subjects from the personal to the political, offering a range of forms and styles that includes sonnets, sestinas, and haiku. Some reviewers criticized Muldoon's technical virtuosity: in the pages of the New Republic, Adam Kirsch noted: "if virtuosity is all that a poet can display, if his poems demand attention simply because of their elaborateness and difficulty, then he has in some sense failed." According to Logan: "Muldoon is . . . in love (not wisely but too well) with language itself. . . . Too often the result is tedious foolery, the language run amok with Jabberwocky possibility (words, words, monotonously inbreeding), as if possibility were reason enough for the doing." Yet, both Logan and Kirsch also offered praise for Hay. Logan concluded: "Everyone interested in contemporary poetry should read this book. . . . In our time of tired mirrors and more-than-tiresome confession, Muldoon is the rare poet who writes through the looking glass." Horse Latitudes was shortlisted for the TS Eliot Prize and released the same year as Muldoon’s The End of the Poem: Oxford Lectures in Poetry. Bringing together the fifteen lectures Muldoon delivered as Oxford Professor of Poetry—a post he held from 1999 to 2004—the lectures, argued Adam Phillips in the London Review of Books, “are about poetic influence more than anything else…Muldoon is generous and expansive in his naming of names; he is the exemplary poet as fan…one of the most thrilling books of ‘literary criticism’ published in the last fifty years.” Muldoon’s Clarendon lectures in English were collected in the alphabetic survey of Irish literature, To Ireland, I (2000), Reviewing the book for the Times Literary Supplement, Clair Wills found “something irreducibly esoteric about this trip through the weird and wonderful land of Irish letters, and the quirkiness, bordering on whimsy, will no doubt alienate many readers. This is unfortunate, because the book also contains some of Muldoon’s most forthright reflections to date on the relations of history, literature and politics.” In addition to poetry, Muldoon has written libretti, rock lyrics—for Warren Zevon, The Handsome Family, and his own band, Rackett—and many books for children. 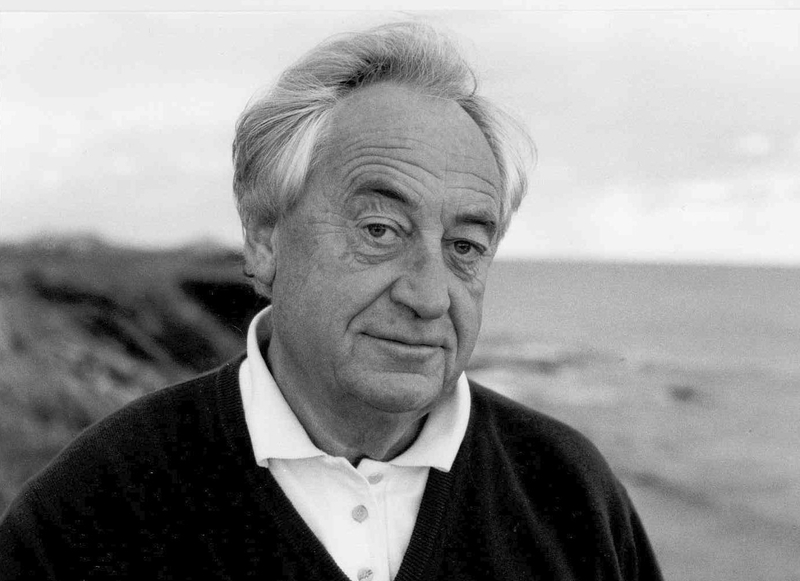 He edited both the Faber Anthology of Contemporary Irish Poetry (1986) and the Faber Book of Beasts (1997). He has also translated the work of Irish poets, including Nuala Ní Dhomhnaill, into English. He has won many major poetry awards, including the John William Corrington Award for Literary Excellence. In 2007, he was hired as poetry editor of the New Yorker. Since 1987 Muldoon has lived in the United States, where he is now Howard G.B. Clark Professor of the Humanities and Chair of the University Center for the Creative and Performing Arts at Princeton University. Paul Muldoon lives with his wife, writer Jean Hanff Korelitz, and their two children near Princeton, New Jersey.